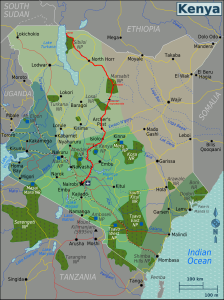 Illeret is a village in the north of Kenya in the tribal area of the Daasanach nomadic people. Located on the east shore of Lake Turkana it is only 17 km south of the Ethiopian border. 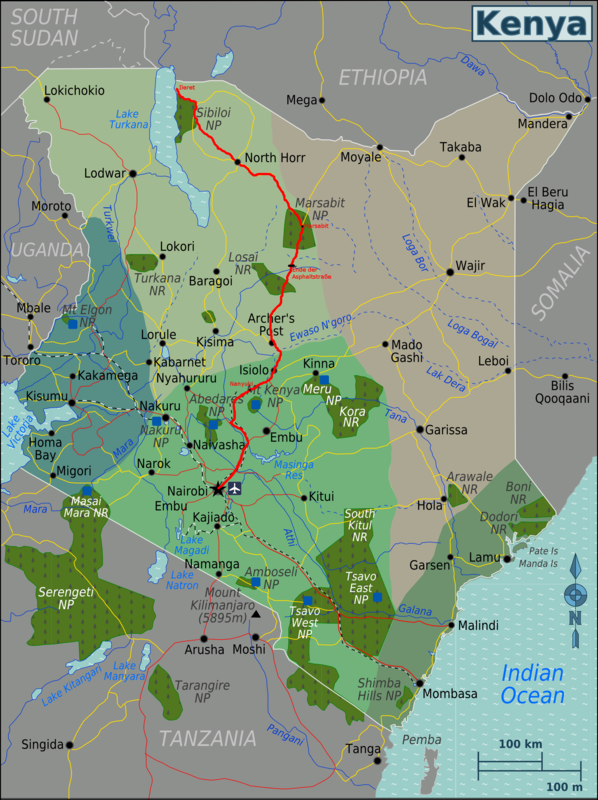 For 40 years it was an outpost of the mission station of North Horr about 250 km south – a 6 to 8 hour journey on Kenyan roads – in the tribal area of the Gabra nomadic people. The aim of the missionaries’ work is the reduction of the number of violent confrontations between the different nomad tribes, thus creating the basis for a peaceful public life that offers the people a good outlook for positive development. Basic Christian values such as the belief in a common Creator of all men or the Ten Commandments constitute a good foundation for this work. Already in colonial times a police station (still occupied today) was located in Illeret due to the proximity of the border. 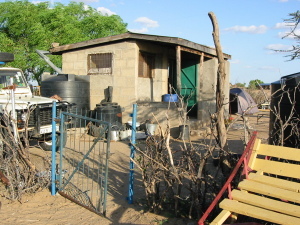 In the surrounding area about 15,000 people live a nomadic lifestyle. The long droughts, sometimes lasting for years, make settled agriculture with crop growing impossible. In the year 2002 Father Florian started his work at the mission station of Illeret which until then had been only sporadically occupied. In one of his first letters he writes “Here I sit in front of my hut which is not much larger than the Land Rover standing next to it and enjoy the sunset. In the hut there is just enough space for a bed, a shelf and half a table“. At the beginning of his ministry there was a school with 3 classes and a clinic, which was only intermittently staffed with a nurse. 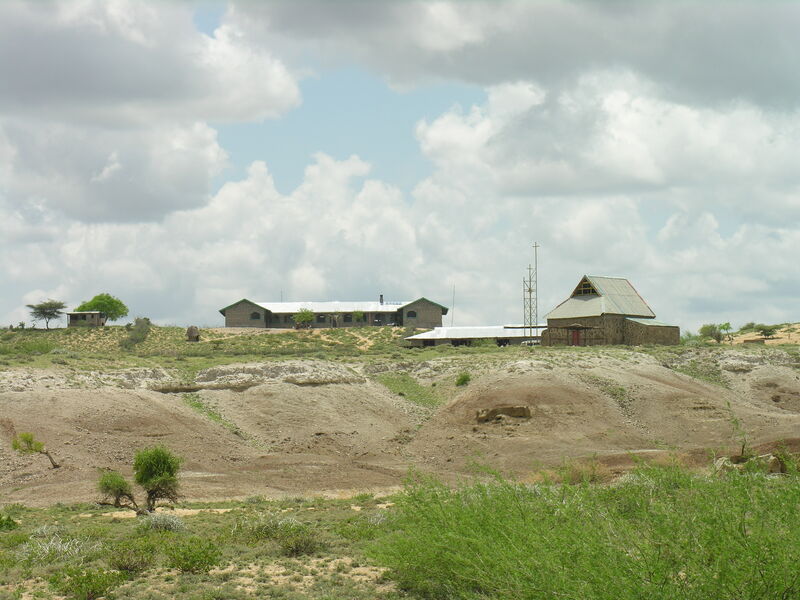 In 2003 the diocese of Marsabit and the Benedictines reached an agreement and Illeret became an independent parish with Fr. Florian as parish priest. Up to then Illeret was a satellite of the parish of North Horr. The lack of any kind of infrastructure forced him to care not only about the spiritual wellbeing of the people but also about the technical infrastructure. His talks with the tribal elders revealed the existence of an abandoned well nearby. After its rediscovery he was able to reactivate it with the help of the local population and to build a 2.5 km water pipe into the village. 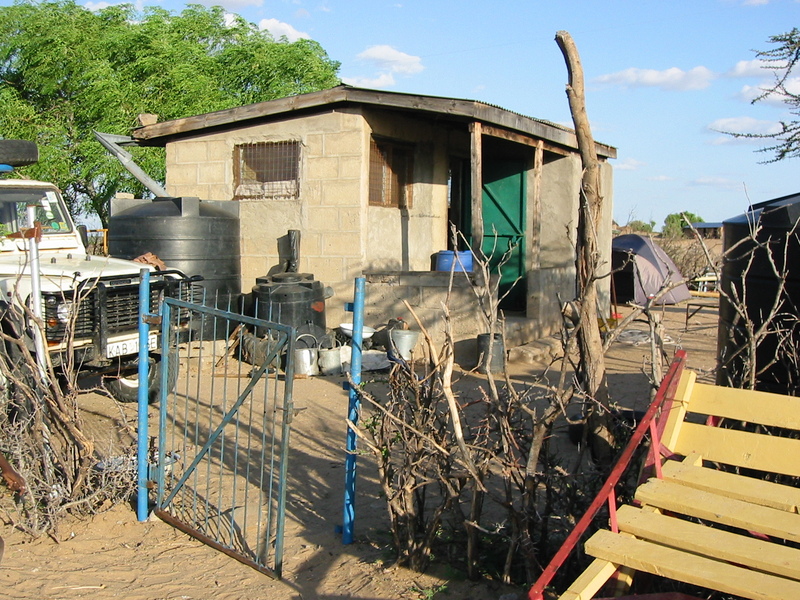 A wind generated pump makes it possible to set up standpipes at the houses. 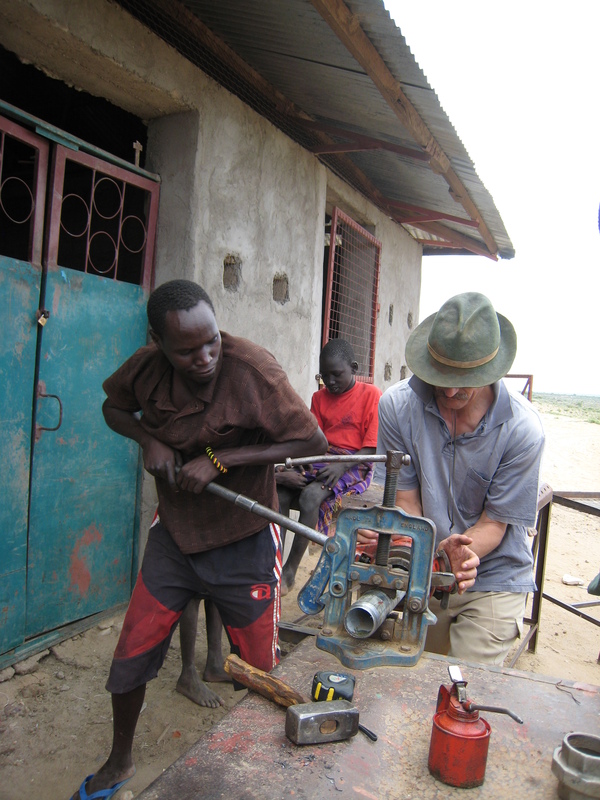 The small metal workshop including welding capacities is especially valuable for the village. Many of the constantly necessary repairs to vehicles and equipment can be done here. From the very beginning he followed the plan to erect a small monastic building. The new school building took the old school office out of use which he reactivated as the foundation of the new monastic building. In the workshop built at the same time all kinds of handicraft work are carried out, as there are no handicraft businesses such as plumbers, electricians, locksmiths, joiners or automobile repair shops in the area. Only a few years ago the ‘Turkana Basin Institute, Illeret Research Facility’ under the leadership of the anthropologist Richard Leakey was set up here, from which research into the origins of mankind is conducted (http://www.turkanabasin.org). The Institute offers valuable employment for the local population, the precondition being a minimum of school education and skill in handicraft. Benefactors from Germany and Austria made it possible for the mission to acquire its own lorry, thus making it easier to organise transport to and from Nairobi. As in this dry and hot area both agriculture and horticulture are extremely limited, nearly everything has to be brought from Nairobi, nearly 1000 km away. Since the last great drought in 2011 the Malteser International (Order of Malta) have also set up a base in Illeret. They have rendered a great service with their rainwater collection program.